All orders must be prepaid by either PayPal (MasterCard, VISA, or American Express), check, or money order before the order will be shipped. Our products are all proudly hand-crafted in the USA. Each order is custom created for YOU. Please note that there may be some slight variations in fabric colors and letters. Our products are made from the highest quality fabrics and materials. Please note that our products are not toys. They are intended for wall decoration and to be kept out of baby's reach. 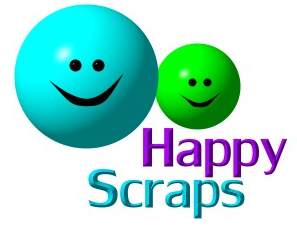 Happy Scraps Whimsical Wall Art and Growth Charts are NOT MACHINE WASHABLE. We do NOT recommend dry cleaning. Spot Clean only. A wrinkle release spray is recommended to keep your item wrinkle free.